Grammar Source – If it weren't for the exceptions, English wouldn't have any rules. If it weren't for the exceptions, English wouldn't have any rules. By most accounts, shibboleth is an interesting word, whose concept seems to cross most, if not all, cultures. This is an easy one. Use whichever one sounds better in your writing. They mean the same thing. Point to remember: Till came into use before until, so it is not an abbreviation of the latter. It must always have two l’s. I won’t be among the 12 percent of football fanatics who call in sick Monday morning with a Super Bowl hangover. That’s because I refused to watch the game. The two teams were rigged by the NFL, who selected officials carefully so as to throw the championship games to New England and Los Angeles. That’s my gut read. Even if there were no conspiracy (but there was), both teams advanced on bad calls, or lack thereof, that would otherwise have guaranteed a genuine Kansas City-New Orleans match-up. So I refused to watch in protest. However, days before the game, I correctly predicted (again, my NFL conspiracy theory) that the Patriots would win late on a questionable call. Which is exactly what happened when (as I saw on ESPN replay) officials didn’t call pass interference on New England on a fourth quarter touchdown pass. Sure, one Patriot player knocked the ball out of the receiver’s hands, but before that the other defenseman was clearly holding him. Anyway, now that I’ve skipped a Super Bowl, I am free of any desire to see another one. What a waste of time — and hype, and deceit. Like the subtitle to my site, “If it weren’t for the exceptions, English wouldn’t have any rules,” the abbreviation of versus is a wide open field, except maybe in legal terms. Even there, whereas v. is standard in American law, other countries that use English prefer v without the period. Then, for those who prefer the vs. version, the period also appears to be optional, as does italicization. When all is said and done, the most important point to remember is you probably don’t want any legal issues involving your name and either v or v.
As I sat upon my sledge and watched “Pardon the Interruption” this afternoon, somehow the subject of donkeys came up — can’t remember the context. Maybe this is an east-of-the-Mississippi or just plain East Coast thing, but you dunk donuts, not animals. Only in German could one come up with a concocted word packing so much meaning, and ultimately so much human frailty and reality: schadenfreude. Fortunately, the word has been appropriated into English as well. I usually reserve my innermost schadenfreude for sports teams, especially arrogant sports teams that think their detritus doesn’t stink anymore. I felt ultimate schadenfreude when the New England Patriots got their clocks handed to them this past Sunday. But let’s face it: When someone has wronged or abused us, doesn’t it bring satisfaction, if not outright joy, when that person gets his comeuppance? So, is it wrong to feel schadenfreude? Probably most religions would confine it to some dark side of the human experience and condemn it, but as for me, I love it. When I was in high school, computers didn’t exist, not the home version anyway. Typewriters abounded, however, and typing classes were pretty much required as you went through school. There were/still are versions with 100 or 1,000 monkeys toiling away to recreate Shakespeare, or at least Hamlet. 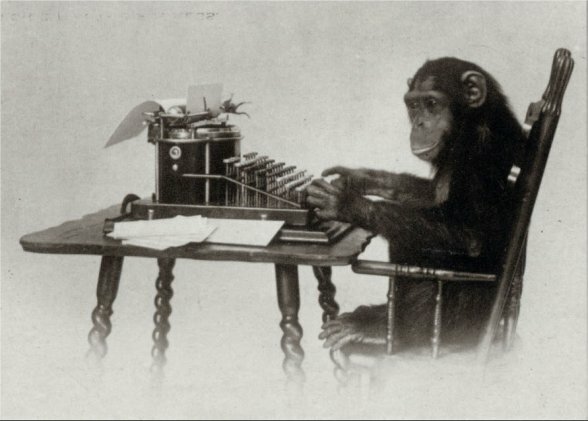 In the process of researching this saying (how many monkeys would it take if you gave them PCs? ), I did discover a useful resource, wordcounter.net. Not only will the site tell you how many words are in your document, it will also check your grammar for you. Give it a try. 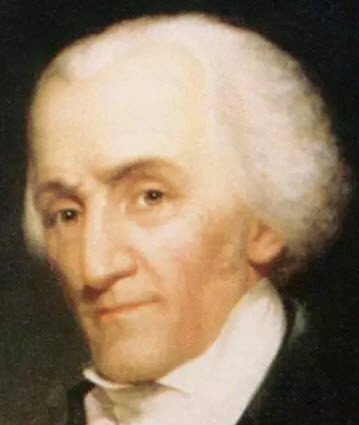 So say the good folks of Marblehead, Mass., once home to Elbridge Gerry (hard “g”), a governor of the fine state and also a U.S. vice president, after whom the term gerrymander was coined. The Selectmen of Marblehead (kind of like supervisors and city councilpersons, one would assume) even fired off a letter to Supreme Court Chief Justice John Roberts to inquire of how he pronounced the word. I can’t believe this was a radio show. I would’ve sworn “The Shadow” was a television vehicle when I was growing up back in The American Pleistocene (what a book title!). Alas, it was a radio show, dating me beyond what I even remember.